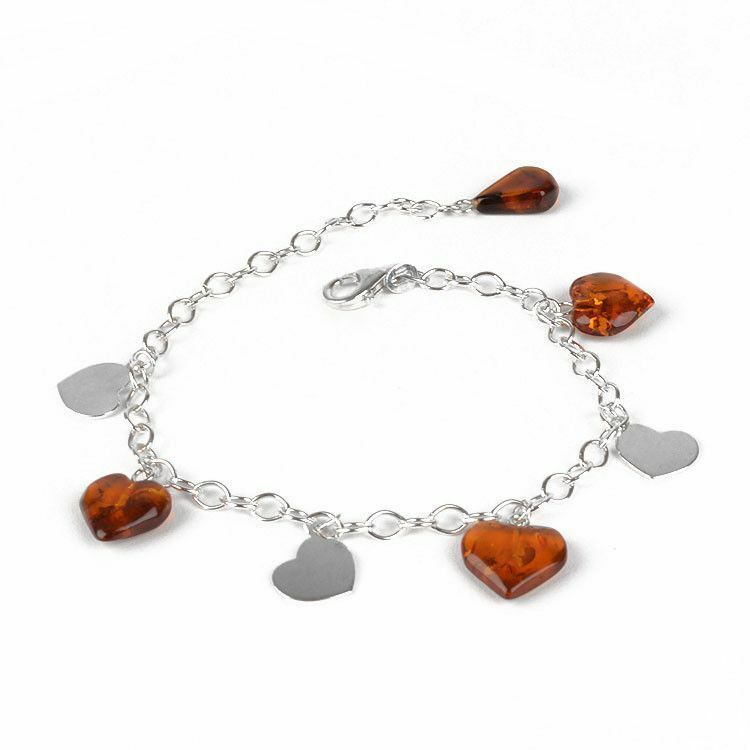 This beautiful bracelet features amber heart charms and silver heart charms. 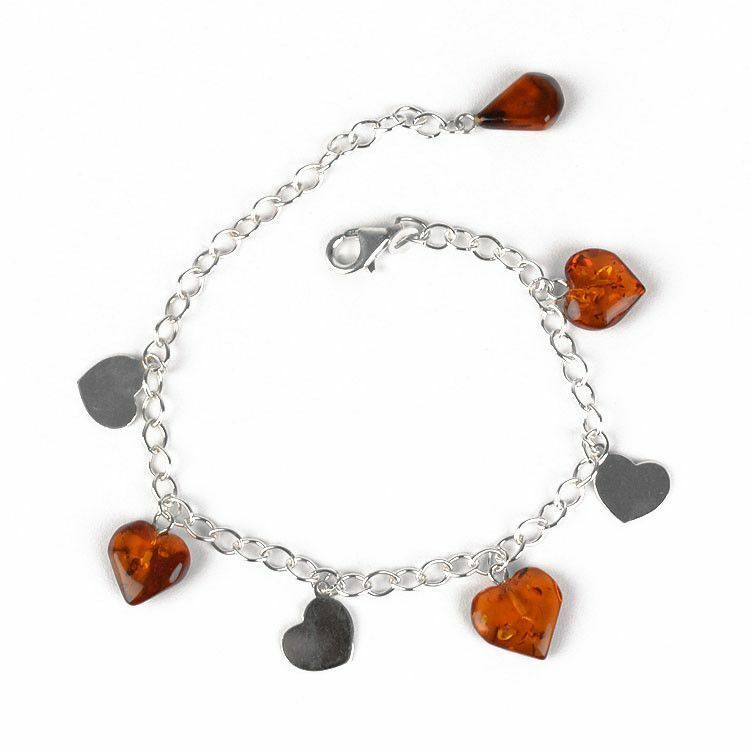 The amber hearts are approximately 1/2" x 1/2" in size. 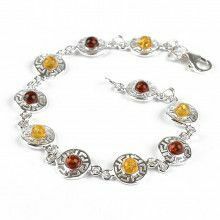 Made with genuine Russian Baltic Sea amber and sterling .925 silver, this charming bracelet is a wonderful jewelry item for many. 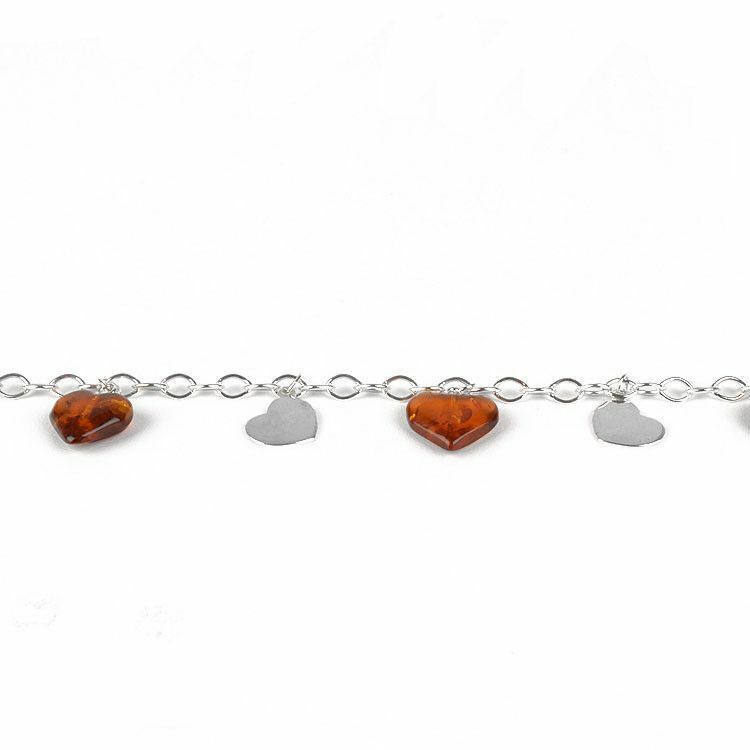 Ideal for wrist sizes 6 1/2" to 8" approximately. 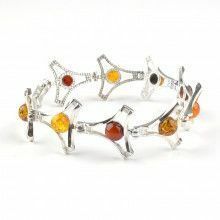 Wrist size 6.5" to 8"